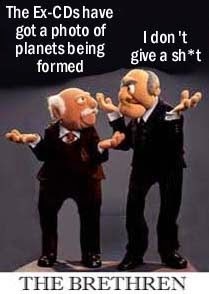 Ex-Christadelphians: Planet formation captured in new photo proves that God DID NOT create the Heavens and the Earth. The image was made possible by Alma's new high-resolution capabilities. Because the process of planet formation takes place in the midst of such a huge dust cloud, it can't be observed using visible light. Alma, the Atacama Large Millimeter/submillimeter Array, has snapped the impressive new image using much longer wavelengths, which it detects by comparing the signal from multiple antennas up to 15km apart. To test out its latest high-resolution capability, only in operation since September, Alma scientists pointed the antennas at HL Tau. They found themselves looking at a "protoplanetary disc" in more detail than ever before. "I think it's phenomenal," said Dr Aprajita Verma, an astrophysicist at the University of Oxford. "This shows how exciting Alma is going to be - it's going to be an incredible instrument." The image matches predictions from computer simulations and illustrations. Prof Tim de Zeeuw is director general of the European Southern Observatory, one of several organisations involved in Alma. He said: "Most of what we know about planet formation today is based on theory. Images with this level of detail have up to now been relegated to computer simulations or artist's impressions." Dr Verma agreed that the image was a significant new piece of evidence - particularly because the star HL Tau is very young. "I think the big result is that you might have expected just a smooth disc," she told the BBC. "But you're really seeing multiple rings - and where it's darker, that's where you've cleared the material already in the disc." The whole process is happening faster than we would have predicted from existing data, Dr Verma explained. "It means that things are coagulating. It's really a planetary system, that you're seeing at a very early time. "These rings will form planets, asteroids, comets... And eventually as the star evolves, this will cool and settle and there will be more clearing and more individual objects, just like we see in our solar system." 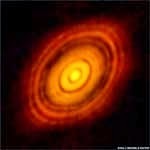 Now we have a photo of how planets formed. They WERE NOT created by God; they were created as a natural result of the physical laws of our Cosmos. Genesis is wrong. It is a primitive, ancient, erroneous creation myth. 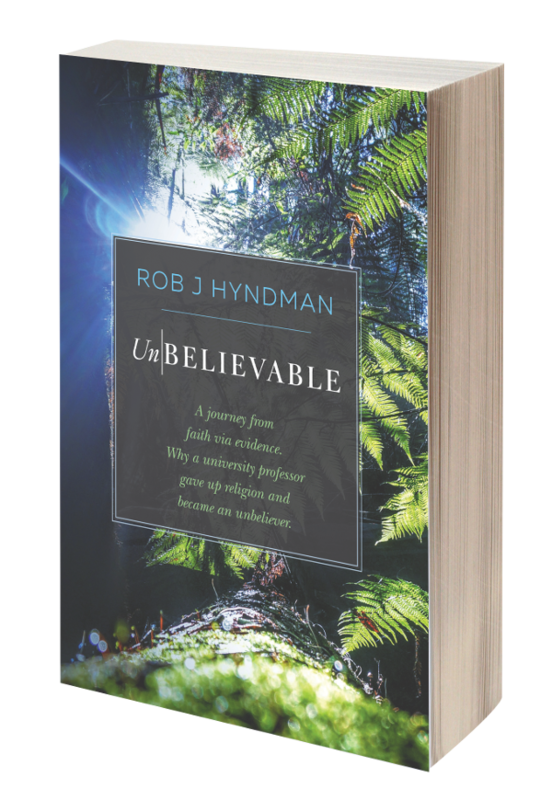 The Bible is wrong and the Christadelphians are 100% wrong about everything that they believe and teach. The Ex-Christadelphians are right. There is no God and the Bible is bunk from start to finish.